At some time, a photograph, a book, a painting or a movie has inspired each of us. It’s an experience we enjoy and remember. In the same sense, we occasionally get the chance to review stereo components that create the same inspiration. It doesn’t happen often, so this is a special review of the Lyngdorf TDAI-2200 Digital Amplifier and the CD-1 CD Transport. Lyngdorf is not a brand name with ‘top of mind’ awareness and you’ll only find Lyngdorf at premium retailers. Lyngdorf is a Danish company, the creation of Peter Lyngdorf. Some technical background is helpful to understand the Lyngdorf sound. Simply stated, most digital amplifier designs are actually analog-digital hybrids. In the hybrid scheme, the PCM (pulse code modulation) incoming PCM signal of a CD player is converted to an analog signal then converted once again to a PWM (pulse width modulation) digital signal in the output stage of the amplifier. This design is widely used because of its lower cost; however, it can result in increased harmonic distortion particularly at very high frequencies, as high as 80-100kHz. Some may argue that the human ear cannot hear frequencies higher than 15kHz to 20kHz so distortion at 80kHz is no big deal. We would make the point that 80kHz is the 3rd harmonic of 10kHz and that the accurate reproduction of harmonic frequencies are critical to true high fidelity reproduction. The TDA design converts the PCM signal directly to a PWM signal (digital-to-digital), eliminating the digital-to-analog-to-digital conversion process and resulting in an unbroken digital signal path. It’s dubbed Equibit and is the foundation of the Lyngdorf design. These words help paint a word picture of the unique Lyngdorf sound. Pace and tempo refer to the amplifier’s speed. Pace and tempo are related to transient response, which describes the amplifier’s ability to react quickly to an abrupt wavefront resulting in a sudden change in the amplitude. The pace and tempo of the Lyngdorf TDAI-2200 were evident at all levels and frequencies resulting in a truly dramatic audio experience. Its pace and tempo removed the sense of reproduction and resulted in a sense of unveiled reality, like being there. Like a high-definition video image, the TDAI-2200 is like a window into the music absent any audible distortion or coloration. Loyal, faithful to the original are synonyms of fidelity that helps describe the Lyngdorf sound. Listening to the Lyngdorf amp removes all the barriers that sound reproduction introduces to music and takes you to the original performance. It peels away the layers of components and sounds like music production, not reproduction. Finally, musicality perfectly describes the Lyngdorf sound. Its melodic sound brings out the best in all genres of music. Add words like balanced tonal response, solid, tight bass, open, light and airy mids and highs and you get the idea. In our enthusiasm to describe the Lyngdorf sound, we overlooked one of the most important features of the TDAI-2200 – the optional Room Perfect system. As good as an audio component can sound, we all know intuitively that the listening room is as important, if not more than the components and speakers that make up the system. In fact, the room is part of the audio system and is one of the keys to true high fidelity. The sound from a speaker interacts with the walls and furnishings in a room to produce its own unique sonic signature. Sometimes, if you’re lucky it’s a good sound, sometimes not depending on the room and its acoustic characteristics. There are several solutions to ‘remove’ the effects of the room from the system, including room acoustic treatments and most recently, DSP or Digital Signal Processing. DSP systems are sophisticated computers and processors that measure the acoustic effects of the room and correct them electronically with highly developed algorithms, similar to an equalizer but more precise. Some systems measure and set speaker size, distance, and level, while others provide system equalization. Lyngdorf’s Room Perfect is such an advanced system. Like many DSP systems, Room Perfect uses a microphone on a mic stand (included) connected to the TDAI-2200 to measure and correct the room’s acoustics. Unlike some systems, Room Perfect is a multi-point system, which relies on measurements taken from several different locations in the room rather than simply measuring the sound only from the listening position. The Lyngdorf Room Perfect system guides the user through each step and measurement position. The system starts out at ‘0%’ and each additional measurement position increases the ‘Room Knowledge’ of the acoustic characteristics of the room until it reaches 100%, if possible. According to Lyngdorf, it takes 4-6 measurement positions to reach the recommended 97%. Lyngdorf also states that in some rooms that require little correction may not register more than 50%. In my room, I measured the room in five different positions and quickly reached 98%. When completed, the TDAI-2200 gives the listener the option to listen to three different settings: Global, Focus, and Bypass. Global is a setting that provides the best sound from any listening position in the room, Focus optimizes the sound from the sweet spot and Bypass removes any room acoustic filters. Lyngdorf acknowledges that listening rooms with ‘perfect’ dimensions and acoustic treatments will not require Room Perfect. Although our listening room is treated with acoustic absorbers and diffusers on the walls and ceilings supplemented by bass traps for low frequencies, we found that Room Perfect provided significant improvements in the sound of the system. The fact that Room Perfect reached 98% indicates that we still have acoustic problems to correct. The most important improvement in my system was in the low frequencies, where it tightened the bass and removed most of the bass heaviness in frequencies below 100Hz. It also improved the sound in the mid frequencies. The system sounded more ‘focused’ with improved imaging and soundstaging. The difference was impressive, to say the least. We must admit that we enjoyed the Lyngdorf even without the benefits of Room Perfect. Our room is far from ‘perfect’ and the Lyngdorf’s sonic characteristics were evident even without the benefits of Room Perfect. In fact, we listened to the TDAI-2200 for several hours before using the Room Perfect system with outstanding results. The Lyngdorf TDAI-2200 Integrated Amp and CD-1 CD Player are remarkable components with exquisite audio performance, a term we’ve never used before to describe an audio component. We have listened to many fine amplifiers and players in and these are among the finest we’ve heard. We're certain there are many fine audio components that would compete with the Lyngdorf TDAI-2200 and CD-1, but we haven’t heard them yet. We won’t repeat all of the accolades from the review, but suffice to say that if you’re a critical listener interested in a refined audio listening experience, you must hear the Lyngdorf system before you make an investment in high-end audio components. 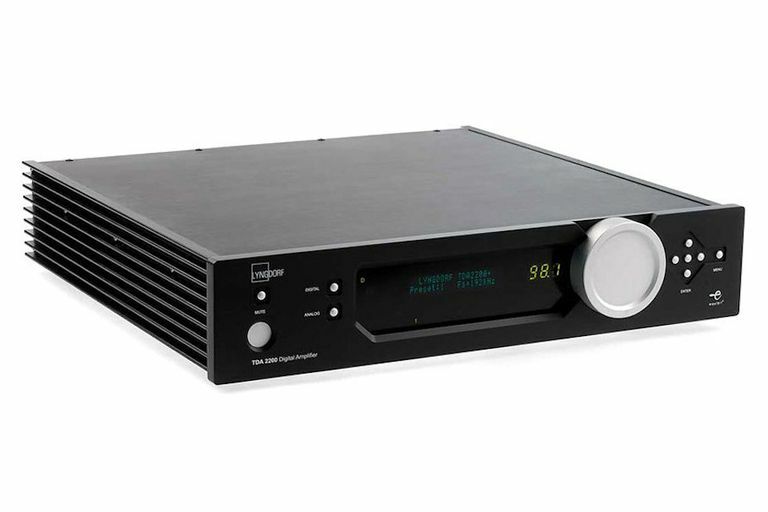 And it is an investment – the Lyngdorf TDAI-2200 has a suggested retail price of $7200 (optional Room Perfect system included) and the CD-1 sells for $2900. With these prices, they’re certainly not for everyone, but everyone would certainly appreciate them and be inspired by the music they reproduce. To learn more about Lyngdorf and their products, visit the Lyngdorf website.